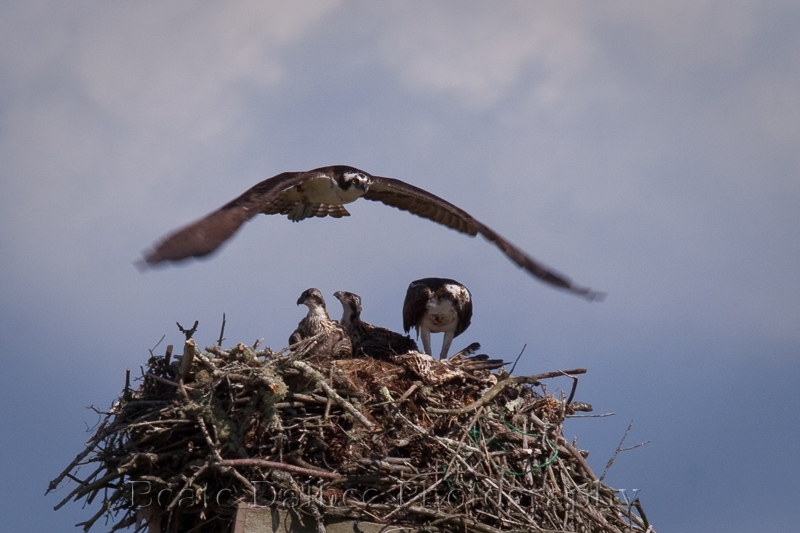 As I had posted a while back (you can find the posts here and here) I have been watching two osprey nests in the area. First the bad news: one of the nest was abandoned. I don’t know why, the same thing happened last year. They worked on the nest, mated, they stayed for a while and then for some reason they left. 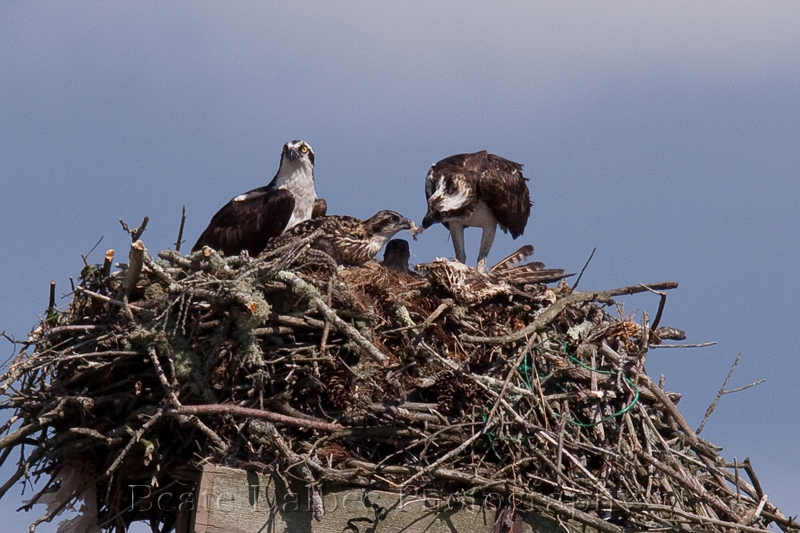 Today I checked on the second nest and was very happy to see that their family has grown. They seem to have two healthy chicks and I arrived just at feeding time. 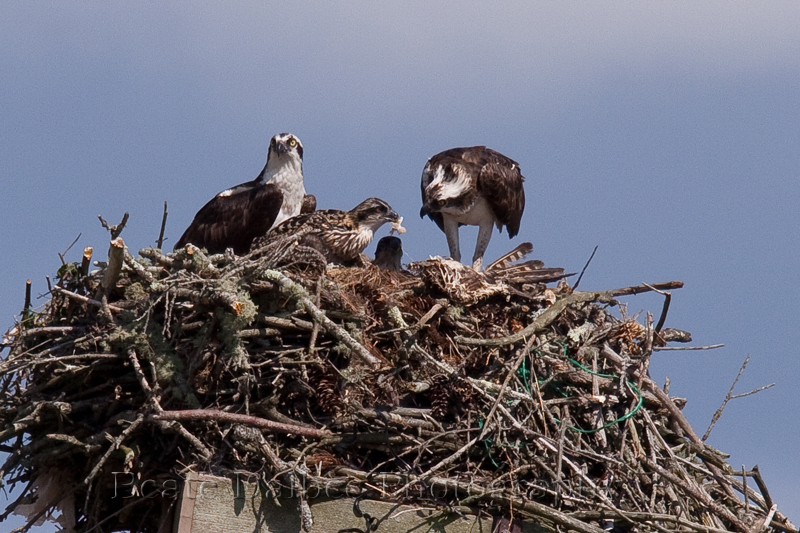 I enjoyed watching them and am looking forward to observing them over the next few weeks as the chicks mature. How exciting! I hope you will keep us posted on the progress of the chicks. Ended up ordering the Sigma extender just for that purpose! Fortunately I found one used in excellent condition. Hopefully I will have it in my hands soon.